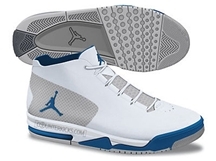 It has been a long time since we saw a new Jordan Big Fund, but the wait will be over soon as Jordan Brand announced the upcoming release of a much-improved edition of it! 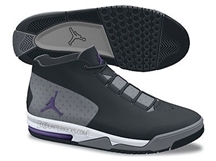 Boasting an updated design and much-slimmer look, the silhouette that will be now known as the Jordan Big Fund Viz RST will be released in Black / Cool Grey – White – Club Purple, White / Neutral Grey – Military Blue, and White / Wolf Grey – Metallic Silver colourways, which was also enhanced with fusion technology. There is no official release date as of now, but we will keep you posted!